Epidural anesthesia may do more than relieve pain during labor; in some women it may decrease the likelihood of postpartum depression, suggests a preliminary study presented at the Anesthesiology® 2016 annual meeting. The researchers controlled for factors already known to increase the risk for postpartum depression, including pre existing depression and anxiety, as well as post-delivery pain caused by tissue trauma during childbirth. After accounting for these factors, the study found that in some women, labor pain was still a significant risk factor for postpartum depression symptoms. 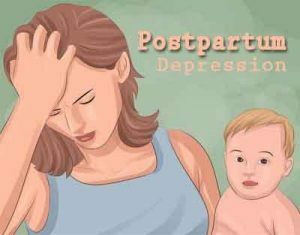 And therefore, alleviating this pain might help reduce the risk for postpartum depression. In the study, researchers reviewed the medical records of 201 women who used epidural analgesia and had their pain assessed using a 0-10 scale during labor. They calculated the percent improvement in pain (PIP) throughout labor after the implementation of epidural analgesia. Depression risk was assessed using the Edinburgh Postnatal Depression Scale (EPDS) six weeks after childbirth. Researchers found the higher the PIP scores, the lower the EPDS scores. Labor pain may be more problematic for some women than others, the authors note. Additional research is needed to identify which women are more likely to experience severe labor pain and who would benefit the most from effective labor pain-control strategies to help reduce the risk and impact of pain on postpartum recovery.